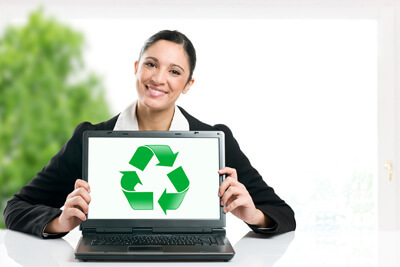 Kontney Computer Group offers complete e-waste recycling of your computers, laptops, smart phones, tablets, servers and all small electronics. We perform a DoD (Department of Defense) wiping 5220.22m spec of all hard drives. We then work with a local veterans group that takes the time to dismantle the computer hardware into separate categories such as glass, metal, circuit boards, wires, plastics, etc. Then these materials get properly recycled and turned into raw materials. These raw materials get utilized into new products that go into the consumer marketplace. The next time that buy a microwave the door may be made of recycled plastics. Also, all electronics are recycled and kept in the United States of America. Everything is recycled and only the dust winds up in the landfill.